I love shoes. One of my favorites is a pair of purple-soled Kensies I’d purchased for my first trip to Europe several years ago. I happened to be wearing those this afternoon when I decided to take the long way home from work with my Nikon. If they’re good enough for Rue de Paris, they’re good enough for Larrabee State Park, right? If I’d stuck to the trail, perhaps. 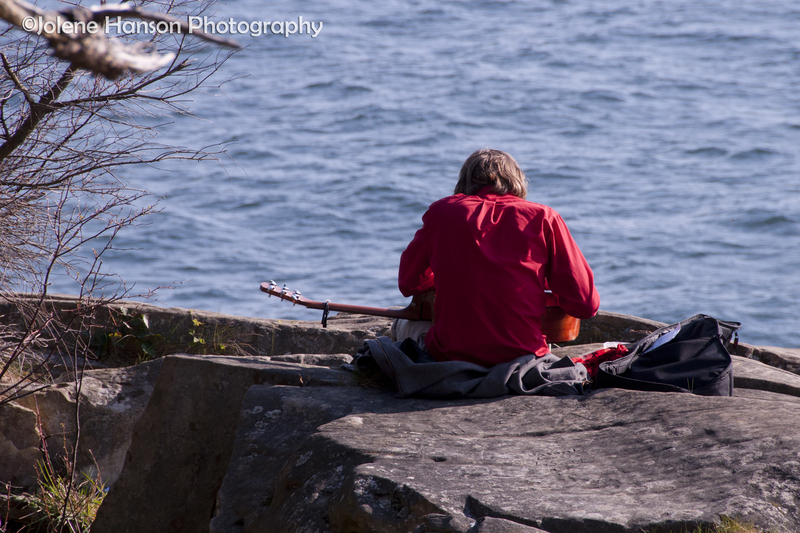 I spotted a musician perched on a boulder, overlooking the water with his guitar. And what was I supposed to do? Walk barefoot over the rocks to get to him? And after I’d finished photographing him, was I supposed to ignore the girl who found the starfish on the rocky beach below? Thank God I have great balance. I think the moral to this story is to always keep a change of shoes in the car. The sun actually does come out in the Pacific Northwest on occasion – one must be prepared! The musician that lured me to the end of that boulder...a little bit to close to the edge for my comfort (in heels), but I got a great photo! And who could resist the slight curl of his lip and the gentle stroking of that guitar? Not me! I had to balance across hundreds of slippery stones to get this. Worth it? 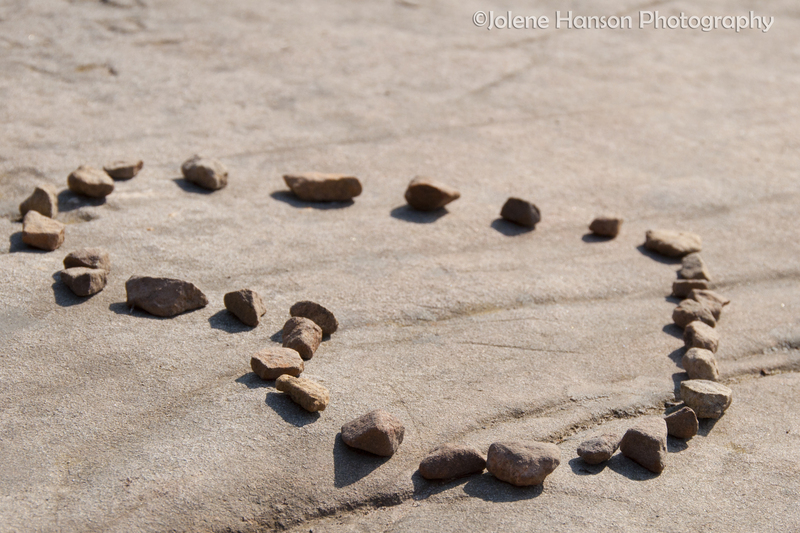 Rock heart someone thoughtfully left for me to find! Me and my Kensies...taking a little break. One final snapshot on the way back to the car. The lighting here was darn near perfect! I think it was totally worth it! Great photo’s! Thanks, Morgan! I don’t think my feet could take that kind of abuse again, though. Lol. Hi Jolene! 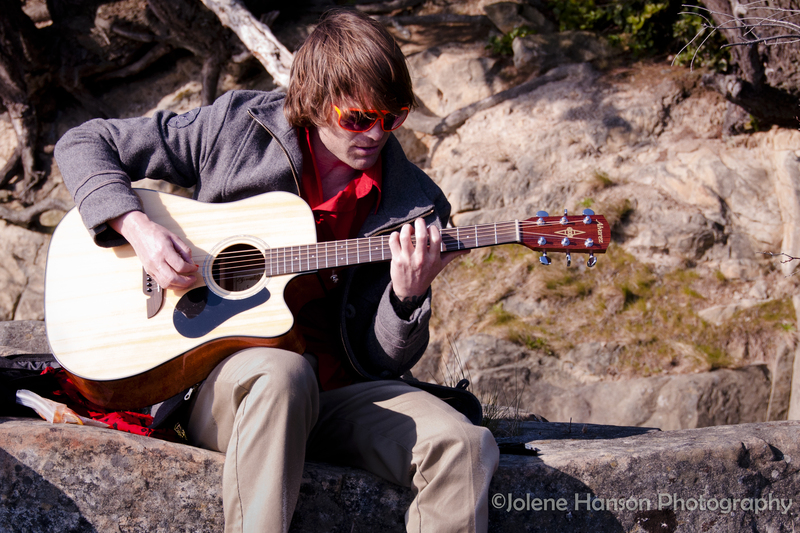 Lovely photographs of rock heart, starfish, musician and your shoes! 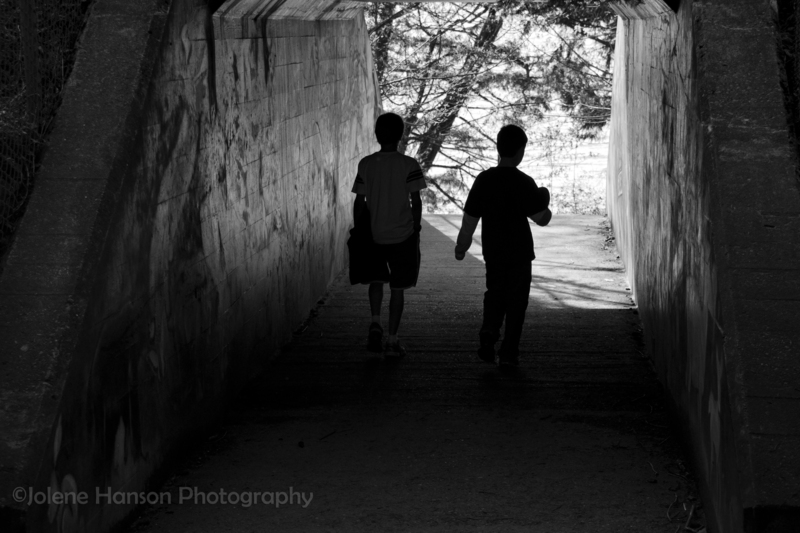 And the tunnel to the beach – very nice! Thanks for the post! Well done, again. Thank you, Jan. Aside from the shoes issue, it was actually a really nice walk and adventure. I’d have to agree – very nice shoes, but not the best for hiking and climbing. I have started carrying my “photography boots” and a backpack of supplies in the back of the truck every day – you never know when you will see something you want to shoot. And I was very glad I had the boots on yesterday when I was backing up to get a shot composed and stepped on a large cactus. 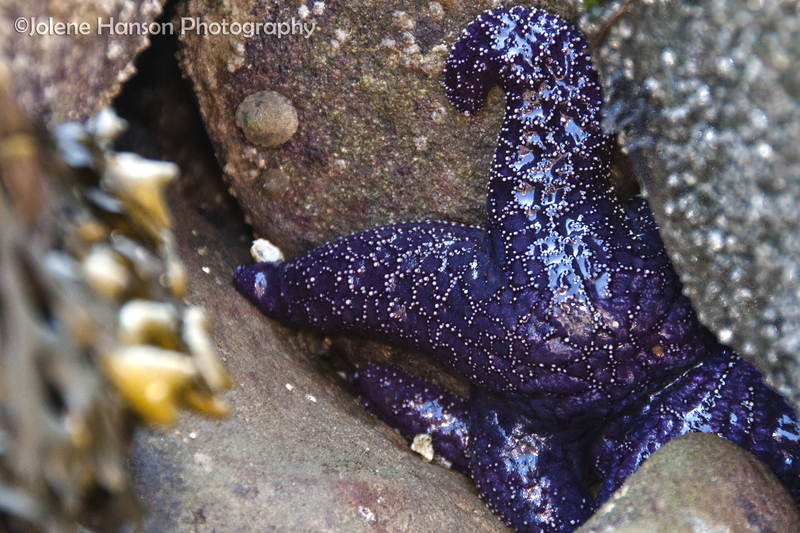 🙂 I like this set of shots – my favorites are the first one of the tunnel and the purple starfish thingy. Looks like you had a great day in those shoes, they are a keeper just as much as these great photos. They last one is my favorite along with the starfish and the first photo. Gee, I liked them all. Thank you, Martina…that starfish shot was tricky. Not only for the issue of balancing on the rocks, but the light reflecting off the surface of the starfish produced a lot of glare, so not easy to capture. Glad you like! I now have a pair of extra tennis shoes in my car just in case….